Today, SC2 and its partners are working together to coordinate federal programs and investments to spark economic growth in distressed areas and create stronger cooperation between community organizations, local leadership, and the federal government. At a time when economic resources are limited, SC2 also helps communities make every dollar count. SC2’s work has enabled pilot communities to more effectively utilize more than $368 million in existing federal funds and investments. The SC2 concept was developed through engagement with mayors, members of Congress, foundations, non-profits and other community partners who are committed to addressing the challenges of local governments. In 2011, teams of federal inter-agency experts began working alongside mayors and their staffs in seven pilot locations. These teams support the communities’ visions for economic development, help communities more effectively invest existing resources, align federal programs, and facilitate new partnerships and peer learning opportunities wherever possible. In the coming months, SC2 Teams will transition each pilot city into the SC2 Alumni Network, which will provide access to peer-learning events and assist with technical assistance. Members of the Alumni Network will designate federal points of contact to share innovations, best practices, and troubleshoot barriers, all of which will continue to inform federal policy. 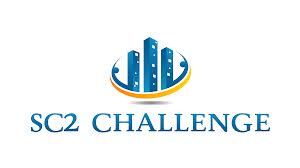 To check out the SC2 Challenge competition websites and submit ideas, visit: www.sc2prize.com.